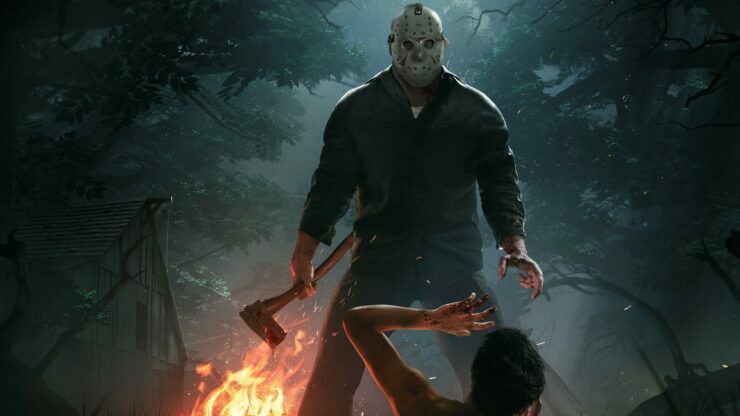 Developer Gun Media has released a new Friday the 13th update for all platforms, which adds new smaller maps, improves stability, and much more. The update is a big one for Xbox One players as most crashing issues have been addressed, and according to the developer, the game should be far more stable. Furthermore, the texture resolution on Xbox One has been increased. Overall stability should be drastically improved due to a number of crash fixes and a major memory leak fix. Disallowing party leaders to join game session invites to sessions that do not advertise (private matches). This is due to not being able to search for sessions that do not advertise, which prevents party members from following their leader into them. Party leaders can now follow public game invites, bringing members with them. Steam Matchmaking tries harder to find lower-pinging matches. PS4 matchmaking up to 6x more efficient with tighter ping requirements. Fixed a number of issues with how the game handles Party Invites and Matchmaking; there are still a few issues out there that are rare but it is much improved. Fixed a number of issues on how canceling matchmaking was handled that could leave players in a state they could no longer matchmake. Various improvements to error messaging. Added Small Maps for the existing maps; Packanack Small, Higgins Haven Small, and Camp Crystal Lake Small. Increased the density of Kill locations on all maps. Adjusted collision on Maps to prevent people from standing on water. Adjusted collision on piers to prevent cars from driving on them . Added a Map Icon to Campfire Kills. Fixed a number of kill spots that were not functioning. Fixed an issue with not being able to fix boat propellers based on boat positioning on the dock. Placed collision under piers to prevent people from swimming under them. Fixed a number of areas that the player could get out of the map. Fixed a number of areas that Counselors could get to that Jason could not. Added better collision around Boat Exits to prevent Jason from getting to areas he shouldn’t be in. Team Killing is no longer possible in Public Matches. Cars can still cause damage to the players if they are hit. Traps can still hurt and/or kill the player but there is no longer an XP penalty for the person that placed the trap in Public Matches. Private Matches have not changed. Fixed an issue where the Counselors breath wouldn’t start to recharge if the user continued to hold the button after breath was depleted. Fixed an issue with Fear being canceled if pulled out of a car. Fixed an issue with the Police Objective happening when it shouldn’t be. Fixed a number of issues regarding objects falling through the ground. Fixed an issue where Damage and Stun chance were only being calculated on the first attack. Jason can no longer block through traps, firecrackers, flare guns, shotguns, and the Police. Fixed reliability of perks that spawn items at the start of the match. Increased texture resolution on the XB1. Fixed the PhD for Murder Achievement/Trophy. Improved intro and outro cinematics. Fixed player muted states sometimes getting “lost” after level change. Can now unready in Private Match even when the countdown is low. Fixed a hitch caused by the video settings savegame after signing in or changing those settings. Friday the 13th: The Game is available now for PC, PS4, and Xbox One.